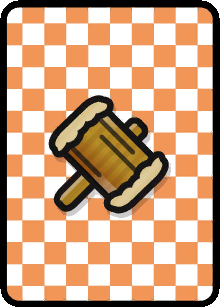 Description A Hammer Card in Paper Mario: Color Splash. Source Cropped from the ripped sprite sheet on Spriters Resource. 19:00, October 23, 2016 220 × 307 (16 KB) Wildgoosespeeder (talk | contribs) Reverted to version as of 18:58, 23 October 2016 (EDT) Oops! That was my cache decieving me! 18:59, October 23, 2016 84 × 116 (7 KB) Wildgoosespeeder (talk | contribs) Reverted to version as of 08:32, 15 September 2016 (EDT) Pixelated doesn't mean better. This page was last edited on October 23, 2016, at 22:29.